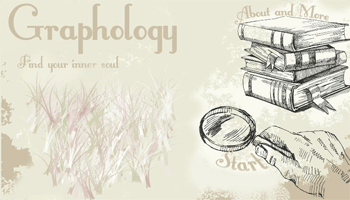 Graphology is the generic term. The prefix is from the Greek word graphe, which means “writing.” The suffix ology means “study/science. Graphology or grapho analysis is the analysis of the physical characteristics and patterns of handwriting purporting to be able to identify the writer, indicating psychological state at the time of writing, or evaluating personality characteristics. It is generally considered a pseudoscience. Just as there are no two people in the world with the same DNA, there are no two people in the world with the same handwriting. 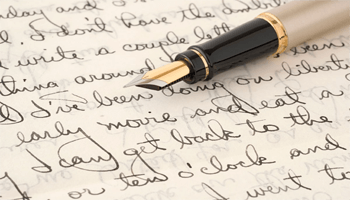 Your handwriting contains the story of yourself, and graphologists are those who can read this story, and interpret it for you. Graphology is the analysis of the brain’s subconscious expression through the medium of handwriting. The generic term for handwriting analysis is Graphology, which comes from two Greek words that mean to learn about writing. Graphology is the study and interpretation of the symbols in handwriting to assess the personality and character of the writer. Graphology is ‘brain writing’ – the handwriting comes directly from the writer in a uniquely personal and individual way. A person’s handwriting – the script – and its placing on the page express the unique impulses of the individual: logically, the brain sends signals along the muscles to the writing implement they control. It is irrespective of how the person has been taught to write: an expert graphologist understands the styles of the different countries and languages and makes allowances for ‘taught’ influences. Largely irrelevant to the actual analysis is the content of the written text. 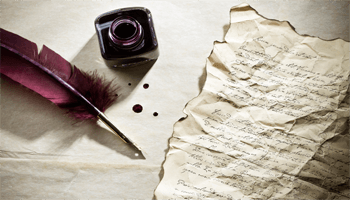 By examining a handwriting sample, an expert graphologist is able to identify relevant features of the handwritten script, and the way the features interact. The features and interaction between them provide the information for the analysis. No single handwriting feature proves anything specific or absolute by itself; a single feature alone can only identify a trend. It is the combination of features and the interaction between them that enable a full and clear interpretation.